Recently we were treated with an Alpine Cheese course taught by Columbia Cheese. Jonathan Richardson started off as a Cheesemonger and has dedicated his professional life to building connections between Cheesemongers and Cheesemakers. He has a deep respect for those who are dedicated to selling what is good and we at Murray’s like guys like that. Researching Alpines can be daunting and now we know why! The Swiss government subsidizes the production of only a handful of highly exported cheeses. The hope of these subsidies is that little Switzerland will supply the world with recognizable “Swiss Cheese”. Swiss Cheesemaking Associations became popular in the 20th century and stabilized the craft of Cheesemaking in Switzerland. However the downside is that those who had produced distinct regional styles stopped and started making the subsidized Swiss cheeses. Another is that there is simply no reward for products that stand out as excellent. But don’t worry check out these Brave Cheesemakers and you will see why we so passionately applaud their efforts! Walter Rass’s dairy is located in St. Gallan, Switzerland. Here the elevation is 1005 m. The dairy was founded in 1896 and he has only approved the milk of 13 local farmers. By 2015 his dairy will produce more Challerhocker than Appenzeller for the first time in history and that’s a big deal. Walter’s creativity and hard work will move him out of association cheesemaking thus giving himself and his farmers an scalable opportunity to control their financial destiny. Challerhocker= “One Who Sits In a Cellar”. Unlike traditional Appenzeller, Challerhocker milk is not skimmed which accounts for its density and extremely white paste. Walter then introduces house-processed calf rennet. After it is pressed and brined each wheel is hand-washed everyday to every week for at least 3 months. 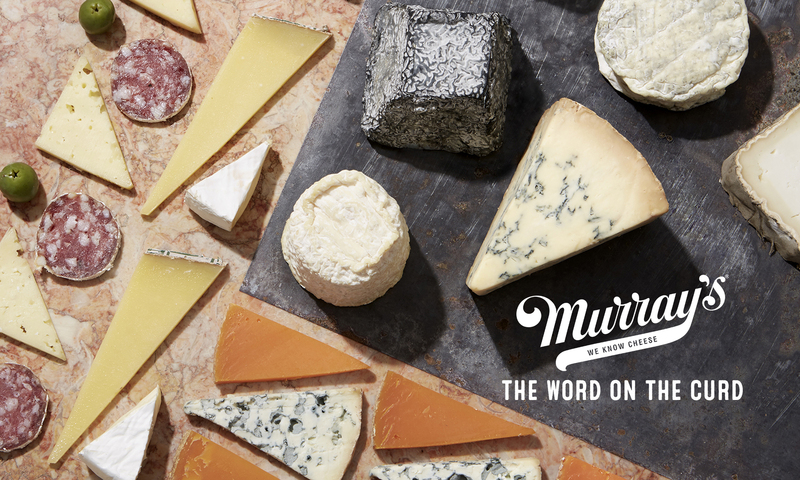 Cheeses are aged a total of at least 10 months on wooden planks in you guessed….a cellar! Evelyn Wylde was born and raised in Heidelberg and always dreamed of being a dairy farmer. She apprenticed first as a dairy farmer and then as a cheesemaker at Kaserei Zurwies. She originally made Raclette but after experiencing the worst of the mass produced cheese market began doing what she loved, making classic Bergkase. Sternschnuppe = “Falling Star”: Located in the Allagau region of the Bavarian Alps, Kaskuche Isny was established in 1998 b y a group of like-minded farmers, wanting to make Organic cheeses in an ecologically friendly with fresh Alpine milk. The result is this craggy, English muffin looking paste and a slightly tackier rind than you may expect. Its flavor profile makes you crave ramen soup as it is similar to broth or roasted meat. Ur Bergkase: This a classic Swiss table cheese consumed morning, noon and night in Switzerland. This clean and rounded out table cheese comes only from 7 local farmers within 5 km of the dairy. Bergkase is a new Murray’s product briefly replacing Adelegger. This cheese is great for a customer who wants something special but not overpowering. This dairy is located in Germany and run by Ecuadorian, Arturo Chiraboga. It was established in 1433 and has been kickin around since the 16th century. In the mid-1990’s it was converted into a guesthouse with a dairy. Arturo insists that all milk be fully delivered within 1.5 hours of milking! Chiraboga Blue: Unskimmed milk is pasteurized and hand molded into shape. Arturo does things his own way. As you may know we always tell folks that blue mold is never injected into wheels. Well meet the exception to the rule. These wheels are hand pierced with needles dipped in this specific blue mold solution. Anton was born and raised in Zurwies Germany. His father was a dairy inspector. A true independent spirit, he is considered a bit of a mad professor of cheese. The dairy itself uses a modern tip system (like Jasper Hill). Blauroter: An oddity from Anton! 1.5 pounds of cheese in an elongated rectangle format. Think of a stretched out Limburger shape or brick cheese, with a washy, sticky rind and an almost unbelievable custardy, runny, sweet paste. This cheese barely holds itself together and sports little naturally forming pockets of blue. Next PostNext So, What’s The Deal With Cheese 101?